PALEO & GEO TOPICS: Comments by R. L. Squires: The world's oldest fossils (maybe). The world's oldest fossils (maybe). In September of 2011, the discovery of the so-called "world's oldest fossils" was written up in Nature Magazine, mentioned in newspapers, and discussed online. These "fossils" are 3.7 billion years old and were found in southwestern Greenland following recent melting of some snow. They might be stromatolites made by cyano-bacteria, and, if so, they would be 220 million years older than previous substantiated previous finds of Precambrian cyano-bacteria. 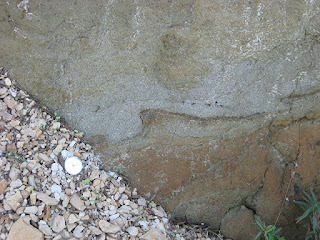 I include the best picture I could find online showing these Greenland "fossils." Upon seeing the photo above, my immediate reaction was that they might be flame structures, which are sedimentary (non-organic) structures created by dewatering of "soupy sediment" when it is compacted. The sediment literally is squeezed into the overlying sediment and "flows" as it does, creating the appearance of "flame tips." Flame structures can be of any geologic age. I include a picture of a flame structures in an outcrop that I came across several years ago while doing some geologic mapping. 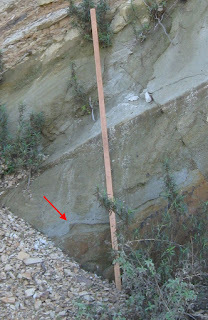 This example is in deep-sea turbidite deposits in the lower Pliocene Towsley Formation in northern Los Angeles County, southern California. You will have to admit, at least, that the resemblance is striking. 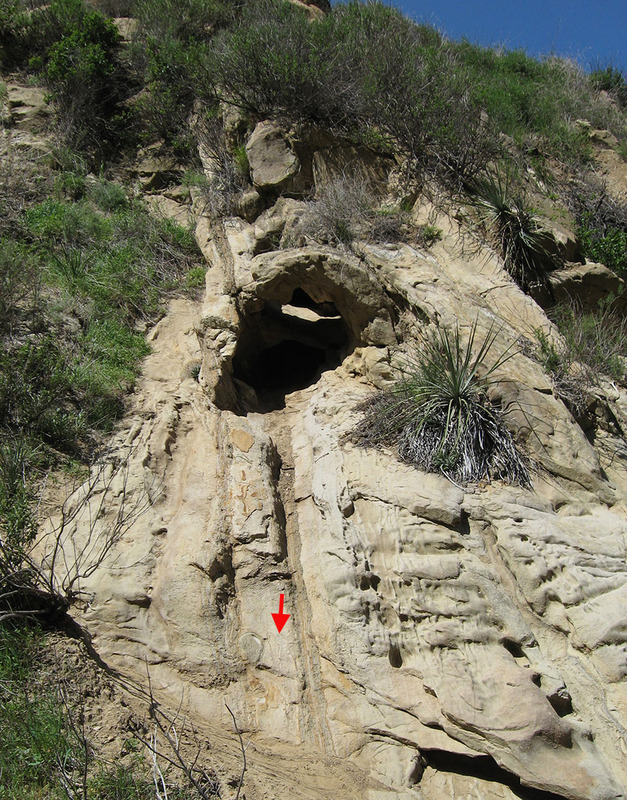 A flame structure (closeup shown on the right) in the Towsley Formation just north of Sunshine Canyon, Santa Susana Mountains, southern California. The staff is 1.5 m in length, and the flame structure is a few centimeters high. 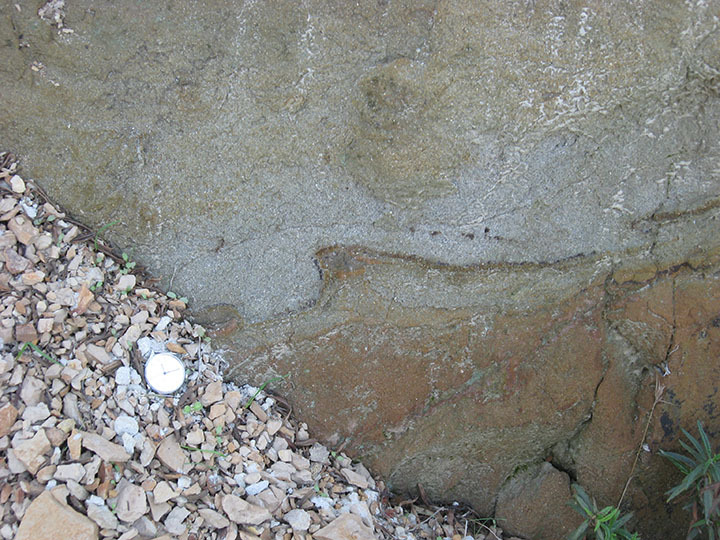 Note: There is a watch (for scale), without a band, on the talus slope just left of the flame structure.